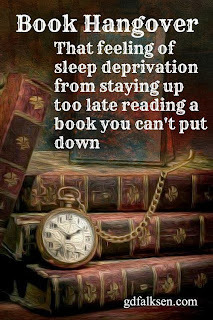 When I did the post on the A-Z quiz, one of the questions was about book hangovers. Book junkie I may be, but I'd never come across this phrase, so I was a bit at a loss, as was the person who'd done the quiz before me on her blog. Someone on her comments list provided an explanation, so I dealt with my quiz differently than she did. Today, The Librarian posted this meme on Facebook, and I couldn't resist popping it up here. 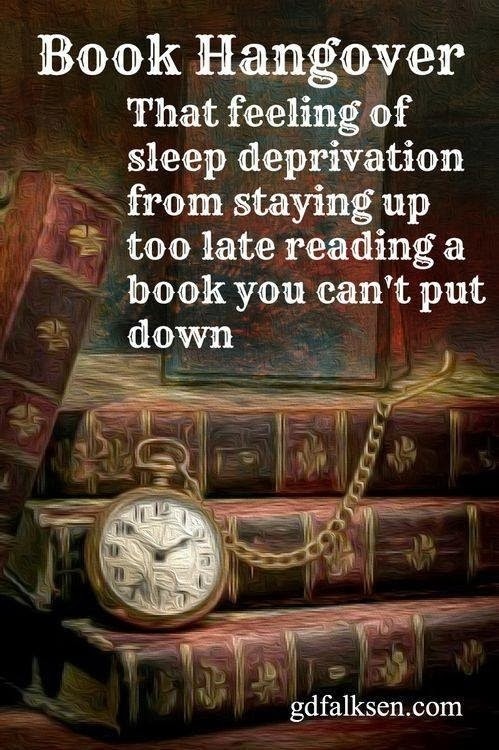 Which book gave you YOUR last book hangover?